Consolidated Industrial Solutions was started with experienced chemical professionals that wanted to meet the needs of customers. Today our company has had great success because our products have outperformed our competitor's products through extensive field testing. CIS has found that most chemical companies are using inexpensive chemicals to cut cost in their products where we decided to use high grade chemicals in our formulations to maintain our quality. Our current customers evaluated that our products not only outperformed their existing suppliers but that they were also cost effective by at least 15-20%. Consolidated Industrial Solutions has focused since day one on water based technology and eliminating hazardous solvents in our chemical programs. The chemical industry has seen significant changes over recent years. CIS is continuously providing ways to reduce hazardous waste in your operation and create safe chemical solutions and services for our customers that have hazardous impacts on the environment. 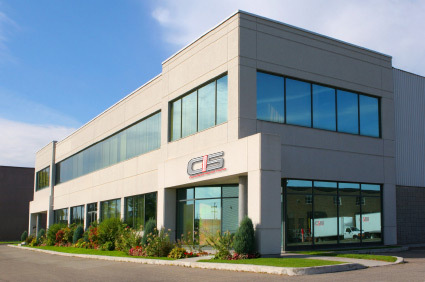 CIS is dedicated to meeting your current needs, while ensuring environmental sustainability to our future generations. CIS has invested in a Research and Development team to continuously work on new chemical formulations that have outstanding environmental, health, and safety characteristics. This team of product experts and chemists are ready to respond to your questions and solutions. Keeping your employees safe as they work with our custom blended chemical programs is our top priority. Our Safety Committee is led by experienced chemical professionals, who are committed to the safety of our personnel and yours, and to partnering with facilities to ensure excellence in EHS. Our field sales, manufacturing staff, and experienced chemists also have active safety committees to drive continuous safety awareness in your operation. Consolidated Industrial Solutions is a provider of industrial chemical solutions. Consolidated Industrial Solutions ink cleaners has helped us eliminate soda blasting our anilox rolls on Saturdays which in return has saved our company down time and money. Before CIS we spend thousands of dollars a year in pump failures due to other supplier's anilox cleaners. Over the past four years we haven't replaced one pump. Tire marks have always been an issue in our facility and CIS custom blended a product to eliminate them. I used to replace our floor scrubbers brushes every six months after using CIS we haven't replaced our brushes in three years. I get calls every week from salesmen trying to sell me their floor soap. After seeing and using CIS their products and service are like no others. Consolidated Industrial Solutions ink cleaners eliminated 90 % of our (VOCs) in our plant and are very safe and easy to use for our press operators. Our print quality wasn't meeting our customers standards. We can thank CIS for selling us a product to deep clean our anilox cells thus improving our print quality. Most degreasers are harmful and aggressive for CNC machines but CIS manufactures a product called HD and this product made my machine look brand new. There is always an employee that is allergic or sensitive to cleaning products but CIS surprised us with their products because not one employee has complained about the smell or skin being irritated. We eliminated oil dry in our facility with CIS product they developed to emulsify oils and coolants. I couldn't use any degreasers in my floor scrubber because my filters would clog up every time. CIS came out and demoed their degreaser and I couldn't believe my filters didn't clog up. I bought their product on the spot. It used to take us an hour to fill our floor scrubbers, now with CIS Quik Fill System; we can fill them in 10 minutes. CIS has made our clean up time safer and easier with their foaming chlorinated cleaner. Our goal was to eliminate numerous sanitation chemicals with just a few and CIS pulled it off. We have used numerous cleaners on our banana room walls and CIS took care of our mildew problem.